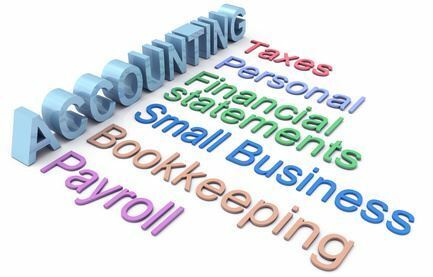 What Are The Services Offered By An Accounting Firm? Services offered by an accounting firm seem to be beneficial to businesses and even common folks. If you are running a business, you can engage with a reputed accounting firm to handle your financial matters on your behalf. Small businesses that are not in a position to hire a fulltime accountant can outsource their finance and accounting needs to a reputable accounting firm. A growing small business can subcontract their bookkeeping in Glen Iris projects to a professional company to increase speed and accuracy. You can hire a reliable firm that owns the latest software applications and workers with diverse skills. By entrusting the record keeping work to a seasoned bookkeeper, you can make more time for other activities. The accountants also help small businesses with their management accounting needs. They will play the role of a strategic partner and provide decision based operational and financial information. The management accountants are also responsible for evaluating the actual standards within your business sector and identify areas of inefficiencies, wastages and invisible losses to the business. They also assist you with office administration and perform a series of tasks to ensure financial security to the company. The accountants not only help you with maintaining business records but also handle End of Financial Year tax preparation in Glen Iris. They will manage everything pertaining to income tax, tax returns, tax deduction, tax compliance and other tax related situations. BAS or Business Activity Statement has to be submitted by every business in Australia to the tax office in order to report their tax obligations. As this involves a lot of complexities, handing over to the experts can be beneficial for small businesses. The accounting firms will take care of your books and lend a helping hand with BAS Preparation in Glen Iris. The accountants also provide MYOB training in Glen Iris to small business owners and enable them to manage their business on their own using this software. They offer step-by-step instruction and comprehensive practical training from the basics of business computing to mastering the influential features. Elizabeth Zeuschner is an accounting expert who has been assisting businesses of all streams with their tax preparation, bookkeeping, payroll and management accounting needs. If you are looking for an accountant who can help saving your valuable time and ensure peace of mind, look nowhere than Elizabeth Zeuchner and Associates. Want to know more about our accounting services? Call us at 03 9885 9649!